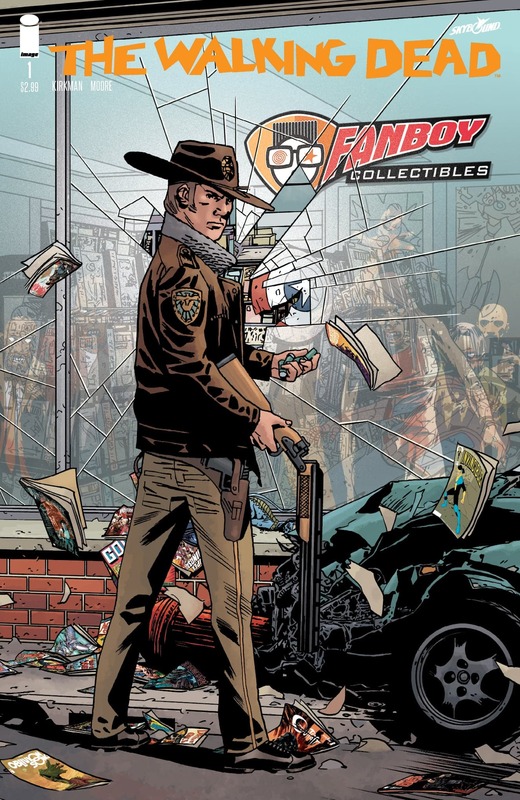 This is the first time issue #1 was reprinted with the current artist Charlie Adlard providing the cover. 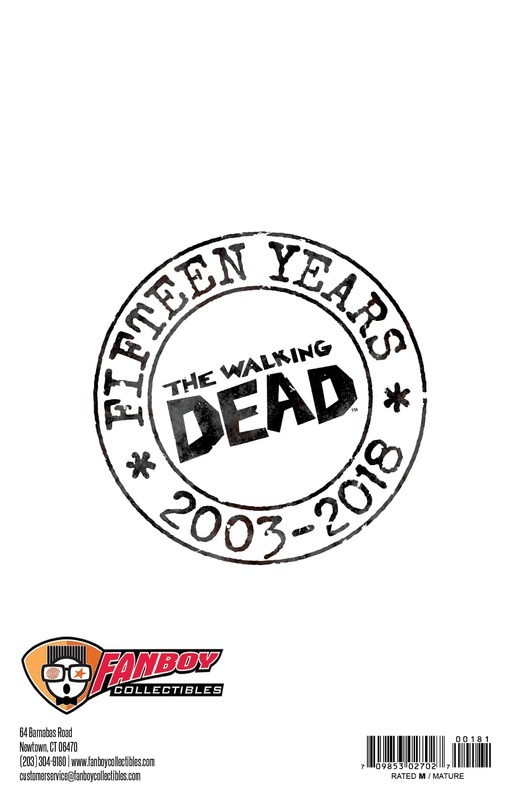 Celebrate THE WALKING DEAD's 15th anniversary with this retailer variant cover edition featuring a brand new cover as walkers overrun Fanboy Collectibles to celebrate THE WALKING DEAD DAY! Comic will arrive bagged & boarded and packaged with care.